For decades, the Second District Court of Appeals case Gruzen v. Henry (1978) 84 Cal. App. 3d 515 has stood for the proposition that a landlord may not collect “rent” under a residential lease where the premises lacks a certificate of occupancy. These agreements are void, and landlords cannot enforce these void agreements, in the event the tenant stops paying rent, with an unlawful detainer lawsuit for recovery of the putative rental payment obligations. No rent can be owed on a void agreement. Unfortunately, Gruzen, which reviewed entry of judgment for the plaintiff/landlord for past due rent and possession of the premises, only modified the judgment to strike the money damages. It otherwise allowed the landlord to recover possession. And this has led to some confusion, especially in San Francisco, where these “unauthorized dwelling units” are still somehow considered a valuable part of the City’s rental housing stock, despite their lack of permits or building code requirements to obtain permits. In North 7th Street Associates v. Constante, a landlord issued a three day notice to pay rent or quit, based on the tenant’s failure to pay for several months of rent under the oral lease. When the tenant failed to cure the notice, the landlord filed an unlawful detainer lawsuit, demanding the past due rent and possession. The tenant resisted the lawsuit, filing a motion for summary judgment and advancing “a January 29, 2015 housing inspector’s Notice of Abatement which found, inter alia, that defendant’s unit (in which he had lived for approximately 15 years) had been constructed without a building permit, that it was not authorized to be used as a dwelling, and that no certificate of occupancy was ever issued for it”. It correctly noted that unlawful detainers are creatures of statute, and if you do not comply with the provision you invoke to get into court, you may not avail yourself of this summary proceeding for possession. Neither could the landlord simply terminate the tenancy, because – while it was not technically a “rental unit” – it is nonetheless covered by the Los Angeles Rent Stabilization Ordinance. Ultimately, the Appellate Division decision is only binding on other trial courts, but its interpretation of Gruzen is sound, and its ruling creates a common sense distinction between a tenant’s ability to resist obligations on a void contract and a landlord’s need to recover an unpermitted unit to either legalize it or demolish it. Beach Break Equities is a cautionary tale to unlawful detainer plaintiffs to be strategic in how and when they recover possession. The opinion of the First District Court of Appeals in Hjelm v. Prometheus Real Estate Group, Inc. reads like a lecture to Prometheus and its counsel. It reviewed the history of the dispute between the parties – from the execution of improperly drafted lease, through the vacating of a mismanaged property, through an over-litigated case (with two motions for summary adjudication on the single issue of entitlement to fees), which culminated in a partially untimely appeal. Hjelm teaches important lessons to property managers and attorneys on how to avoid being penalized for not following the rules. The trial court found that the Hjelms signed a residential lease for a rental unit in San Mateo. They did not have an opportunity to negotiate their lease, which was mailed to them out of state for their signature. The family vacated a little over a year after moving in, following a persistent and unaddressed bedbug problem. At trial, management personnel testified that they had no real policy for dealing with bedbugs and that high turnover prevented new employees from effectively taking on existing problems. The appeal sought to review the judgment itself, as well as a healthy award of $326,475.00 in attorneys’ fees (accrued in obtaining damages of only about $70,000.00). However, only the award of attorneys’ fees was properly before the Court because the appeal of the verdict was untimely. In Morlin Asset Management, LP v. Murachanian, the Second District Court of Appeals found that an indemnity clause in a tenant’s lease did not cover claims by a cleaning service against the building owner, when their employee slipped on stairs attempting to service the tenant’s unit. The employee spilled a bucket of soapy water on the stairs while ascending, slipped, and hit his head. When the employee sued the owner for negligence and premises liability (on the theory that defective stairs caused the fall), the landlord cross-complained for indemnity against the tenant – a dentist who hired the cleaning service. The Second District Court of Appeals held that, while there was an indemnity clause in the tenant’s lease, for the benefit of the landlord, and while these clauses are construed broadly in the context of insurance coverage, it could not be said that the plaintiff’s injury arose out of the tenant’s use of the property. A 2015 case from the Appellate Division of the Superior Court of Los Angeles – Boston LLC v. Juarez (2015) 240 Cal. App. 4th Supp. 28 – awarded a landlord judgment for possession following the failure of a tenant to cure a “material” term of the lease. The term required the tenant to obtain insurance for the tenant’s benefit. This might otherwise seem like a trivial breach, but the lease agreement contained a forfeiture provision stating that any breach was a material breach. In hazarding its interpretation of the materiality of the provision, the Appellate Division noted another Appellate Division case, NIVO 1 LLC v. Antunez (2013) 217 Cal. App. 4th Supp. 1, urging that some breaches of lease agreements are immaterial and will not result in forfeiture allowing a landlord to recover possession in an unlawful detainer action. It nonetheless exalted the “forfeiture clause” in determining that the requirement of obtaining renters insurance could constitute a lawful covenant of the lease, the breach of which could be considered material. Division Four Disagrees with Delta Imports: Could Borsuk Lead to the Death of the Delta Motion? 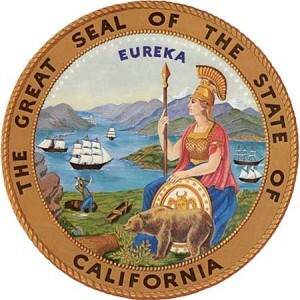 On November 23, 2015, Division Four of the Second Appellate District interpreted a long-standing doctrinal procedure for attacking an unlawful detainer complaint: Borsuk v. Appellate Division of the Superior Court of Los Angeles County (2015) 242 Cal.App.4th 607 has the potential to eliminate the “Delta Motion” and change how unlawful detainer actions are litigated. Parties in Boston, LLC v. Juarez Go To Trial Over Curable Breach; Appellate Division of Los Angeles Superior Court Praises Plaintiff for Being “Technically Correct”. “Given the statutory basis of unlawful detainer law, parties must comply with the statutes, including the time periods specified therein, with exactitude”. In Boston, LLC v. Juarez (2015) 240 Cal. App. 4th Supp. 28, the Appellate Division of the Los Angeles Superior Court explores the application of a “forfeiture clause” in a residential lease. There are several important defenses available in an unlawful detainer action based on breach of a lease covenant. (For example, where the defendant had been in possession for a decade and a half, waiver is the most obvious choice.) And, while this lease also had an anti-waiver clause, the court declined to explore waiver of the anti-waiver clause, as the defendant had not adequately preserved the argument for appeal. The court did opine that “unconscionability/adhesion” might have been an effective defense, were it raised. But then it moved on to explain how interpretation of statutes and contracts are a matter of law, how clear and explicit lease provisions govern, and how, if a lease has a “forfeiture clause”, the materiality of the breach is irrelevant. The dispute becomes a binary issue of law: did the defendant breach the provision or not. The defendant’s main defense concerned substantial performance: where the breached provision of the lease required him to obtain renters insurance, and he obtained it seven days after receiving a three day notice, that should be considered “close enough” to cure the notice. The appellate division correctly pointed out that “substantial compliance” would only be relevant in measuring performance in the context of an uncurable breach (unlike this provision, where he easily could have obtained renters insurance within the three day notice period). Moreover, there is no basis in law to suggest that a tenant is allowed to comply with a three day notice in seven days, as this would somewhat defeat the point of having a statutory time period for unlawful detainer notices. Boston, LLC v. Juarez will be satisfying for those who have had the frustrating experience of being technically correct but advised against proceeding on the merits. Given the cost of litigation and the chance of losing, this kind of case most often results in a private settlement agreement where the tenant does better than a complete forfeiture of their rights. Further, a tenant can generally obtain relief from forfeiture – even after an adverse judgment – if they are capable of curing the breach and making the plaintiff whole. Where this tenant actually had cured the breach (and before he even had to respond to the complaint), it is unusual that this case would have fully litigated. In San Francisco, this outcome is all the less likely, following the new Jane Kim Amendment to the San Francisco Rent Ordinance. The Rent Ordinance now requires that, where a lawsuit is based on violation of a lease covenant, the violation must be “substantial”. This would likely thrust such a controversy back into the purview of a jury, “forfeiture clause” notwithstanding. At the very least, Boston, LLC v. Juarez tells us definitively that a three day notice is not a seven day notice (unless of course you serve it on the Monday before Thanksgiving). In an unpublished decision, the Second Appellate District explores the litigation privilege in the context of an unusual appellate reversal of an unlawful detainer judgment. The landlord, Ghaffari, prosecuted an unlawful detainer based on illegal short-term rental use and won at the trial level. Ghaffari thereafter enforced the unlawful detainer judgment and recovered possession, eventually auctioning Doll’s personal property that was left behind. Doll appealed and the judgment was reversed, but she was not restored to possession under Cal. Code Civ. Proc., §908, upon a finding of unclean hands. Doll then sued for, among other things, breach of contract, wrongful eviction/trespass and elder abuse for the selling of her property, prevailing on her claims for breach of contract, wrongful eviction, elder abuse, etc. On appeal, the court found that the landlord’s activities in terminating the tenancy, recovering possession of the apartment and even in selling the property, post-judgment, were all covered by the litigation privilege, citing to Feldman v. 1100 Park Lane Associates (2008) 160 Cal.App.4th 1467, Action Apartment Assn. v. City of Santa Monica (2007) 41 Cal.4th 1232 and Rusheen v. Cohen (2006) 37 Cal.4th 1048. It therefore reversed the verdict as to the claims based on dispossession and the selling of her personal property. Doll asserted that the case Chacon v. Litke (2010) 181 Cal.App.4th 1234 stood for the proposition that post-trial enforcement activities are not protected. However, the Court of Appeals noted that Chacon merely stood for the proposition that an unlawful detainer judgment did not forfeit a tenant’s right to reoccupy following a non-fault eviction, where a local rent ordinance reserved a right to reoccupancy. Doll v. Ghaffari provides an interesting review of the duality of the unlawful detainer judgment – as consisting of a right to possession and for incidental money damages – and the duality of a leasehold estate – as consisting of a contractual right and an interest in land – while navigating the litigation privilege. Here, the tenant prevailed on the money damage issue in the underlying unlawful detainer action, while asserting her contract rights under the leasehold, but lost on the issue of her interest in land and being restored to possession. That said, this case is currently unpublished, and, as the court noted, Munoz did not address the litigation privilege (relying, instead, on a case from 1917). So California courts may come to a different conclusion the next time it reviews a similar series of lawsuits. In Mak v. City of Berkeley Rent Stabilization Board (2015) 240 Cal. App. 4th 60, the First District Court of Appeals discusses what happens when a landlord coerces a tenant to enter an agreement that contravenes city law governing owner move-in evictions. Under Berkeley law, a landlord cannot terminate a tenancy other than for “just cause”. Rental units are also rent-controlled, except to the extent that they are deregulated by state law (i.e., Costa-Hawkins). And, while a landlord can terminate a tenancy if they intend to reside in the rental unit for 36 months (under the owner move-in provisions of Section 13.76.130A.9 of the Berkeley Rent Ordinance), this does not result in a decontrolling of the unit for the next tenancy (under Costa-Hawkins) if/when the unit is put back on the rental market (as a result of Berkeley Regulation 1016). In other words, it’s fine if you want to live in your property, but you don’t get the benefit of market rent if you move afterward. The court in Mak evaluated the rent-controlled status of a tenancy in the context of Regulation 1016. Elizabeth Burns was the long-term tenant of a unit owned by Jason and Karen Mak. The Maks served an Owner Move-In (“OMI”) notice (pursuant to Cal. Civ., §1946.1 and Section 13.76.130A.9) on Burns, but then negotiated for her to move out in an agreement where she stated that the vacating was not because of the OMI notice, reciting that she was aware that the Maks could move in, sell, or re-rent at market rates. No longer bound, in their minds, by the OMI restrictions, the Maks immediately re-rented to Alexander and Andrea Ziem, who ultimately brought a petition for determination of lawful rent, on the theory that the unit was still controlled at the previous rate, as Regulation 1016 creates an evidentiary presumption that, where a tenant vacates within a year after an OMI notice, they vacated because of the OMI notice. The court was unconvinced by the Maks’ “subterfuge”. It distinguished Bullard, noting that, while regulating “comparable units” was a weak deterrent to avoid bad faith OMIs, Regulation 1016 was focused precisely on deterring the kind of conduct that would allow landlords to use threats of an OMI to cause a tenant to vacate a unit, in a manner that would avoid any of the restrictions imposed by the OMI provisions. The Ziems received a windfall here, but Regulation 1016 is designed to deter conduct, not necessarily protect the rent-controlled tenant. The ruling in Borsuk v. Superior Court (La Hillcreste Apartments, LLC) is not novel. But the politic concurrence, by Acting Presiding Judge Kumar, is rallying. Acknowledging the deference the Appellate Division must pay to the Courts of Appeal (particularly, decisions by its own Second District, like Delta Imports), he agreed with the majority that a trial court must consider extrinsic evidence about service of the requisite notice to an unlawful detainer action in evaluating the sufficiency of its ability to state a cause of action and its worthiness of the unique unlawful detainer five-day summons. Even Judge Kumar thought this reasoning wasn’t absurd: “The apparent thought process behind cloaking the notice requirement with jurisdictional ramifications is this: if there is no valid three-day notice, the summons corresponding to the complaint is necessarily invalid because the truncated time for an answer provided therein is conditioned on a valid three-day notice.” He simply asserted that, in allowing a jurisdictional challenge to test the sufficiency of a cause of action, “Delta expanded the traditional scope of a motion to quash”. Delta stressed that it would moot the point of a jurisdictional challenge if a tenant were required to challenge the cause of action for unlawful detainer on demurrer – a general appearance in the action. The tenant should be able to specially appear and challenge jurisdiction. He closed by issuing an open invitation for “a court higher than the appellate division” to revisit the matter. The Delta motion is one of the more peculiar features of unlawful detainer law, and reform would straighten out what is supposed to be a simplified and summary proceeding for recovery of possession of real property. On the other hand, this doctrine is over three decades old, and higher courts have had no shortage of opportunities to spill ink on this issue.